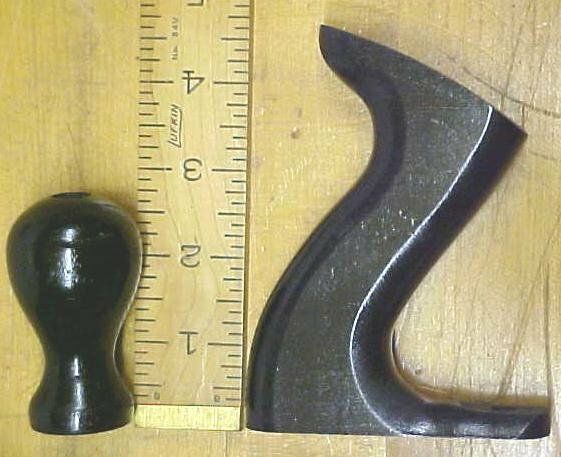 This is a black painted hardwood (usually walnut) handle and knob that is designed to fit vintage Stanley planes No. 4-1/2, 5, 6, 7, 8, and some others as well, like the Bedrock 605, 6, 7, 8 etc. The handle and knob are in very good condition with no damage or cracks, some very minor finish issues, but have never been used. Although this type of handle and knob were made to fit any of the Stanley model number 5-8 planes listed above, from during the period from 1942-1947 when there was a shortage of Rosewood, this handle will fit the same number type planes listed above, dating back to 1907, although the older planes originally had Rosewood handles, where this set is hardwood with a black painted finish on it. The handle is 1.0" thick x 4.5" tall, and the knob is called the tall knob type, and is 2.7" tall x 1.65" diameter at the widest point. 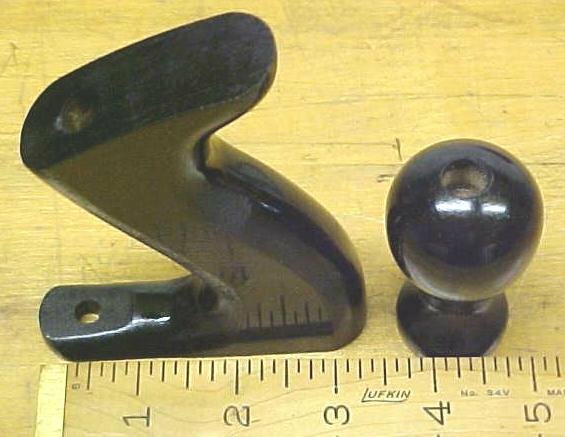 The knob is also tapered at the bottom to fit into the raised round boss that is cast on the 1942-1947 period planes, but also has the clearence inside diameter hole to fit the older style plane as well. A number of these are available, there are minor finish and grain variations, but all are basically the same sizes and condition. 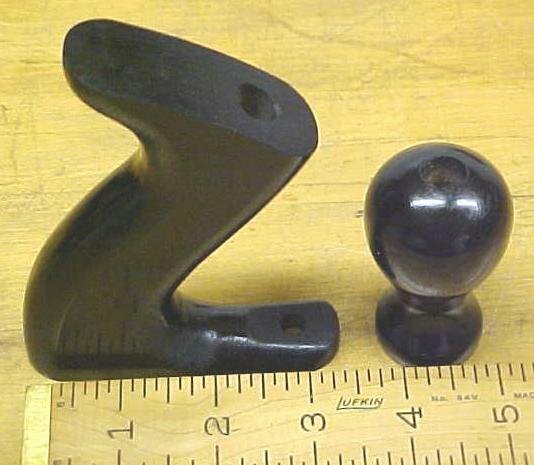 Items Similar To "Stanley Plane Handle & Knob No. 5, 6, 7, 8 Tote Replacement"